This program is designed for families who have multiple members of varying ages. 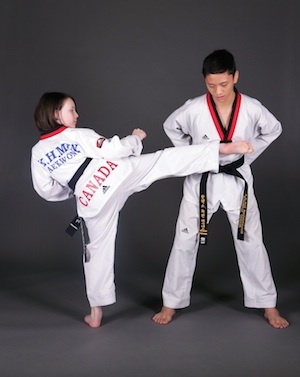 This class enables students from the same family regardless of age to participate in our martial arts programs together. Families are able to interact with each other in a fun and challenging environment, and motivate each other to work hard. This class helps strengthen family bonds between family members since they are all working as a cohesive unit towards the same goals. Working together and progressing through Taekwondo together will create amazing memories for children…an experience unlike no other!